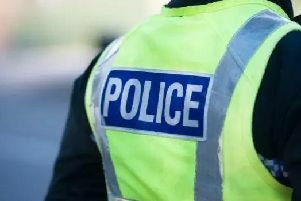 Police are appealing for information after a blaze was deliberately started at a block of flats in Lennoxtown just after midnight on Tuesday. Officers were called to a report of a fire at a top floor property at School Lane. Emergency services attended and all residents were evacuated. Extensive damage was caused to all four flats. Detective Inspector David Patrick from Kirkintilloch CID said: “This was a very serious fire, and thankfully nobody was injured, due to the quick actions of a neighbour who saw what was happening and alerted emergency services. “Extensive enquiries are underway and we are appealing for anyone who was in the surrounding area in the early hours of this morning, and noticed anyone acting suspiciously, to come forward.